The CSB (in)courage Devotional Bible invites women to courageously engage with the biblical narrative to discover how it intersects with their own unique story. Featuring devotions rooted in the real life experiences of over one-hundred members of the (in)courage community, the CSB (in)courage Devotional Bible provides resources for women to make connections, explore the Bible, and find themselves among friends. The (in)courage community is a vibrant community, reaching thousands of women every day, welcoming them just the way they are, offering a space to breathe, loving support, and resources for meaningful connection. Features include 260 devotions, 52 reflective response devotions, 10 distinct thematic reading plans, 66 book introductions connecting each book of the Bible to the whole biblical narrative, stories of courage from 50 women of the Bible, journaling space, topical index, two-column text, theme verses, and specialized presentation page. The CSB (in)courage Devotional Bible features the highly readable, highly reliable text of the Christian Standard Bible (CSB). The CSB stays as literal as possible to the Bible's original meaning without sacrificing clarity, making it easier to engage with Scripture's life-transforming message and to share it with others. CSB (in)courage Devotional Bible, LeatherTouch by CSB Bibles by Holman, was published by Holman Bible Publishers in October 2018 and is our 10006th best seller. The ISBN for CSB (in)courage Devotional Bible, LeatherTouch is 9781462785056. Be the first to review CSB (in)courage Devotional Bible, LeatherTouch! Got a question? No problem! 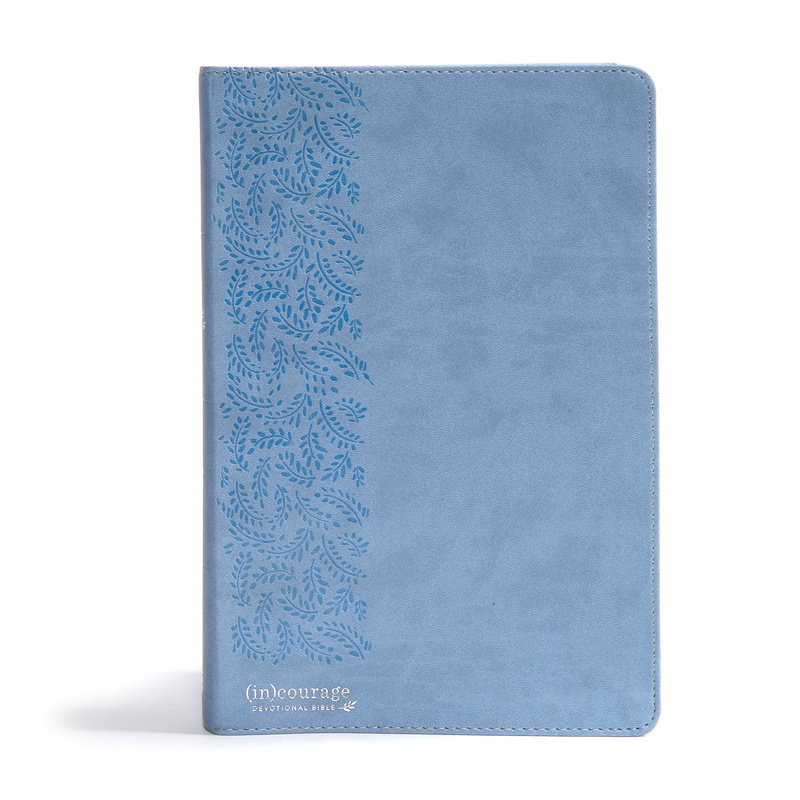 Just click here to ask us about CSB (in)courage Devotional Bible, LeatherTouch.